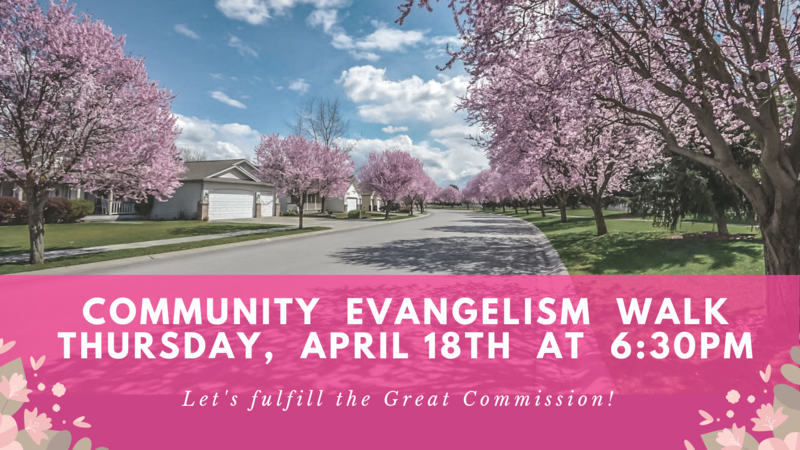 Join us on Thursday, April 18th at 6:30pm for our next Evangelism Walk as we go out and share Jesus with our community. What better time to make Christ known than now as we prepare to celebrate Resurrection Sunday? Come join your fellow ambassadors for the Kingdom of God as we go in obedience to the Great Commission.